High Point Vol. Fire Co.
You are cordially invited to participate in the 19th annual Harry T. Marti Memorial Golf Tournament to benefit the High Point Volunteer Fire Company. Golf was one of Harry's favorite activities. How fitting to honor him in this way and benefit the Fire Company that meant so much to him. Harry Marti was Chief of the High Point Volunteer Fire Company for over twenty years. His accomplishments around the county and state are noteworthy. 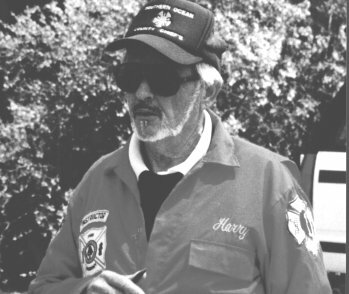 Harry was instrumental in the development of the Ocean County Fire Academy. He served on the board of the New Jersey State Fire College. Harry helped establish a fire school in the southern part of Ocean County. Along with Ed Parker, he played a key role in developing the Emergency Management and Fire Marshall offices in our county. These are just a few of Harry's accomplishments during his long career in the fire service. We hope that you will come out and join us for an exciting day. You will have the opportunity to win many prizes, enjoy a great day of golf, honor a great fireman, and benefit the High Point Volunteer Fire Company. We hope that you will join us, and as always, we appreciate any support. Putting Contest Starts at 12:00 p.m. Copyright © 2018, HPVFC | All Rights Reserved.